Both Cunard Line and P&O Cruises announced their 2015 world cruises this week, to go on sale next Thursday. All three of Cunard Line’s Queen Mary 2, Queen Elizabeth and Queen Victoria will offer such itineraries in 2015, as will P&O Cruises’ Arcadia and Aurora. In Canada, meanwhile, engineers have succeeded in reviving a 106-year old quadruple-expansion steam engine of the Clyde-built s.s. Keewatin, which are due to turn again for the first time this Thursday. Meanwhile, pod failures have meant the cancellation of the rest of Celebrity Millenium’s 2013 Alaska season. Cunard Line, leader in sailing world voyages, has more experience in offering these itineraries than any other line. In 1922, Cunard completed the world’s first complete circumnavigation when the Laconia set off to become the first passenger ship to compeletly encircle the globe. Since then, Cunard ships have undertaken more world voyages, carried more passengers on world voyages and visited more destinations on world cruises than any other line. In 2015, Cunard will commemorate the 175th year of its founding, and its world cruises planned will celebrate a significant milestone. 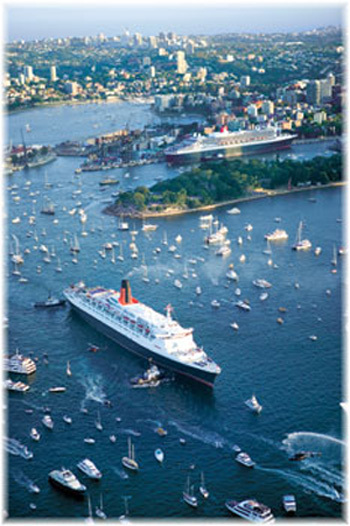 This year will herald several Cunard “Royal Rendezvous” events during their world cruises: Queen Mary 2 and Queen Elizabeth will depart Southampton together on January 10, 2015; Queen Mary 2 and Queen Victoria will meet in Sydney on March 12, 2015; and all three Cunard Queens will return to Southampton together on May 3, 2015. Cunard’s 2015 world cruises will include voyages ranging from as short as eight days up to to 127 days aboard the Queen Mary 2, Queen Victoria and Queen Elizabeth. Passengers will also have the option to combine itineraries into and out of Sydney, travelling in two ocean liners to create customised world voyage options with land portions in between. Guests will have the opportunity to visit South Africa or the South Pacific, to circumnavigate Australia, or to discover Japan and Southeast Asia. Together, the three ships will visit 82 destinations in 46 countries, from major cities to less frequented locales. Cunard Line’s 2015 world cruises go on sale next Thursday, September 5, 2013. Sister Line P&O Cruises will also offer two world cruises in 2015, visiting 69 destinations in 38 countries. Arcadia will offer a 106-night full world circumnavigation exclusively for adults, with single cabins available, and Aurora will sail a 105-night South America and Pacific Adventure for families and couples as well as solo travellers.Both will sail roundtrip from Southampton and go on sale togrether with Cunard Line’s world cruises next Thursday, September 5, 2013. Forty-eight years after the coal fires on the steamship Keewatin were put out for the last time, her mighty steam engine will turn again to the delight of all who visit this important relic from Canadian history that has come back to Port McNicoll, Ontario. The Friends of Keewatin is a not-for-profit charitable foundation that operates this great icon on the shores of Georgian Bay about 78 miles north of Toronto. Its official name is the RJ and Diane Peterson Great Lakes Foundation and Keewatin Museum. In 2012, with the financial assistance of Gil Blutrich, the developer of a new resort community at Port McNicoll, the Friends of Keewatin had the opportunity to purchase Keewatin from its elderly American owner and, with camera crew along, spent ten months digging her out of the silt in a little lake in Michigan and towing her out through a trench one mile long, 50 feet wide and 10 feet deep. On June 23, 2012, Keewatin finally arrived back in Canada, where she had worked from 1908 until 1965. The s.s. Keewatin, a Titanic-era steamship that worked Georgian Bay and Lake Superior for almost sixty years, is now docked in Port McNicoll, just north of Barrie. She was powered by a quadruple-expansion steam reciprocating engine that was built in Scotland in 1907. At 170 tons and three stories in hight, this magnificent engine is similar to the two quadruple-expansion engines that powered the Titanic and may be the only example of its type left in the world. After fifteen months and thousands of hours of labour, a volunteer crew of engineers has now restored the engine to running order. With the aid of an external electric engine the massive pistons will once again rotate around within the massive confines of steel, copper and brass. Originally powered by a series of “Scotch” boilers, this historic display will use a three-phase, 35 horsepower electric motor to perform once again its choreographed motions to the awe and inspiration of visitors. This display will make the industrial evolution come alive from a time before computers, cars, airplanes and even electricity. The s.s. Keewatin can be reached by taking Highway 400 north from Toronto and following the signs that are posted near Port McNicoll and nearby Midland. 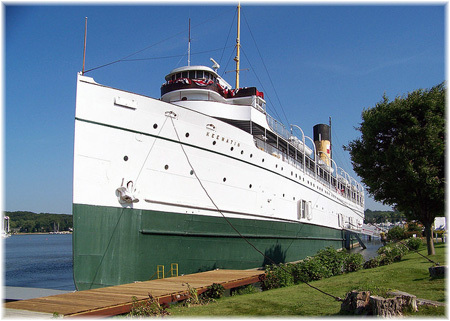 The s.s. Keewatin has had a good first summer at her old home port and with the revival in interest in Great Lakes cruising, it is expected that one or two new products could be introduced on the Great Lakes in upcoming years. Meanwhile, 21st Century technology has resulted in pod failure for Celebrity Cruises’ Celebrity Millenium. Celebrity has had to cancel the remainder of Celebrity Millenium’s 2013 Alaska cruise season after mechanical problems forced the line to cut the ship’s current cruise short. Four subsequent cruises have also had to be canceled. 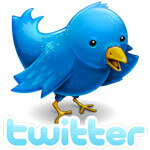 All affected passengers will receive a refund within three weeks and a future cruise credit. The cancellations mean an end to Millennium’s Alaska season. The line said the ship will return to operation for its September 22 sailing out of San Diego, a 15-night Trans-Panama cruise to Fort Lauderdale. Repairs will take place at the ship yard in Freeport and the ship is now en route from Alaska to the Bahamas.